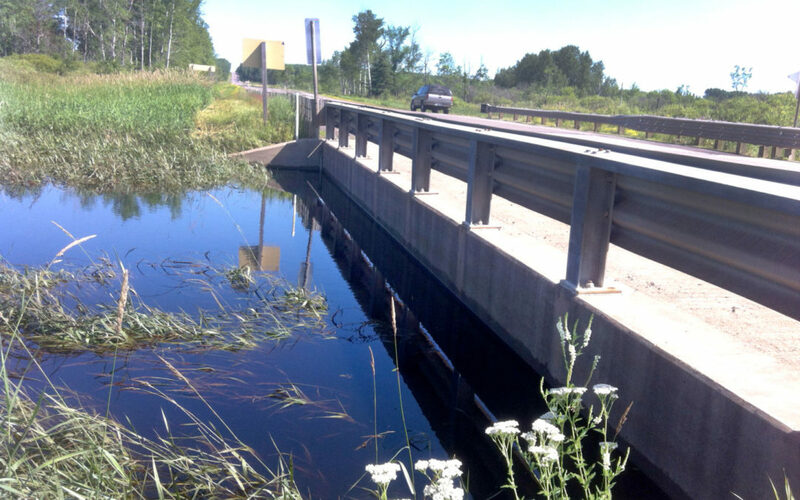 Amidst the devastation following the July 2016 storm in northern Wisconsin (examined in WWA’s recent case study) is a story of hope and wetlands at work embodied by Bibon Swamp, located in the upper portion of the White River watershed. Considered “the best of what’s left,” Bibon Swamp is Bayfield County’s largest wetland complex. 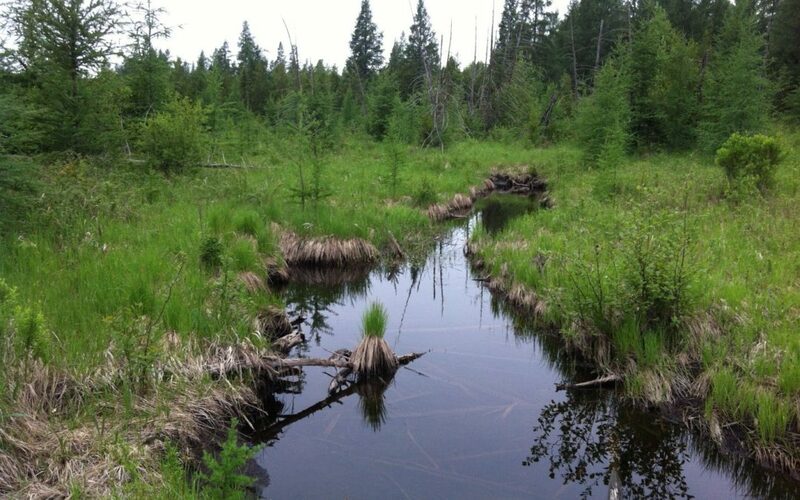 This Wetland Gem® is valuable not only because of its tremendous size but also because of its roadlessness (no roads bisect its core) making it a rare example of how a relatively undisturbed wetland landscape helps manage water in severe storms. During the July 2016 storm, Bibon Swamp soaked up more than 10 billion gallons of water. The waters of the White River rose nearly 6 feet across the 10,000-acre site at the flood’s peak, reaching the underside of the bridge which usually arcs high above the channel. Instead of rushing downstream, storm runoff was absorbed by the swamp and slowly released over the following week. 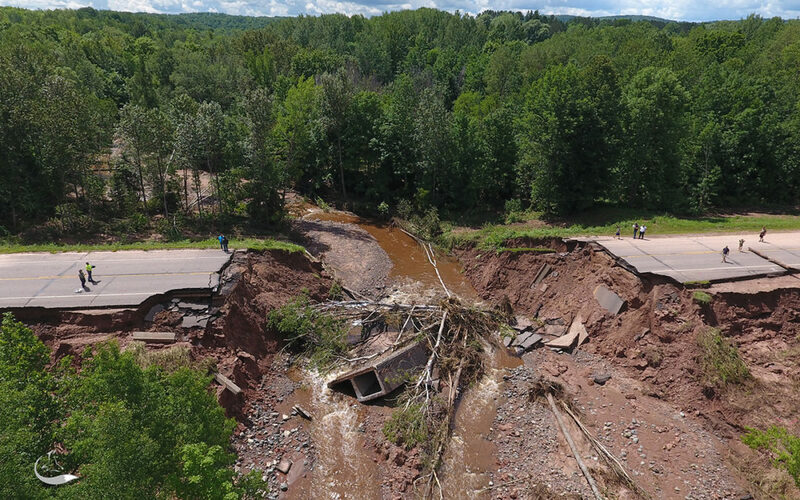 Locals speculate that, without Bibon, the floodwaters could have led to the failure of a hydroelectric dam located a just few miles downstream from the swamp. Communities downstream would have faced catastrophic damage had the dam failed. The restoration of upper watershed wetlands can be a cost-effective way to reduce future flood damages.